Following the success of Barack Obama in the 2008 U.S. elections, all the major political parties in the U.K. are set to follow his example and take the fight for votes online in the run up to the upcoming general elections of May 2010. Social media will help the parties get the attention of the public and, in turn, garner more supporters. Facebook has about 20.9 million users aged 18 and over in the United Kingdom, which is almost the same as the number of people who voted in the last general election. 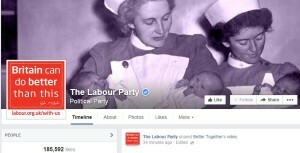 At the time of publishing this article, the official Labour Party page has 11,922 fans on Facebook. The Conservatives have 31,745 fans and the Liberal Democrats have 11,550 fans. YouTube, Twitter and Facebook feature prominently on all three major parties’ websites. RSS feeds are just as prominently available for subscription and blogs are widely used. The extent to which the Internet is expected to help in the U.K. is less than in the U.S. as it is a much shorter campaign and the level of fund raising is much lower. 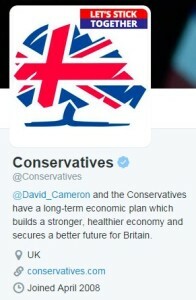 It is rumoured that the Conservative party’s digital team is spending as much as 20% of their time on Twitter. Sarah Brown, the wife of the current Prime Minister, Gordon Brown, has a follower count of over 1.1 million on Twitter – which should be a reason for the Tories to worry, as they only have a little over 23,000 followers! Channels such as YouTube, Delicious, Livestream, podcasting and even email are also expected to play an important role during this election. This is the first time the Internet will play an important part in the U.K. election process especially by allowing the party leaders to communicate directly with the younger generation – usually the most politically indifferent demographic. Political parties will be able to show highly targeted ads to the users, which will be much cheaper and more effective than traditional newspaper ads. The down side of such an increased network presence is that the slightest mis-step by a party leader can go viral and be broadcast to millions of voters in no time. All candidates now need to be more aware than ever of the fact that they can now be tracked almost all the time and their privacy is something they can never be entirely sure of having.